They once romped and stomped all over the continents of Earth. The oldest lived 230 million years ago; they all died out about 65 million years ago. They thrived during the Triassic, Jurassic, and Cretaceous Periods. They were large—Brachiosaurus was up to 40 feet tall and 100 feet long; and small—Heterodontosaurus was about the size of a turkey. 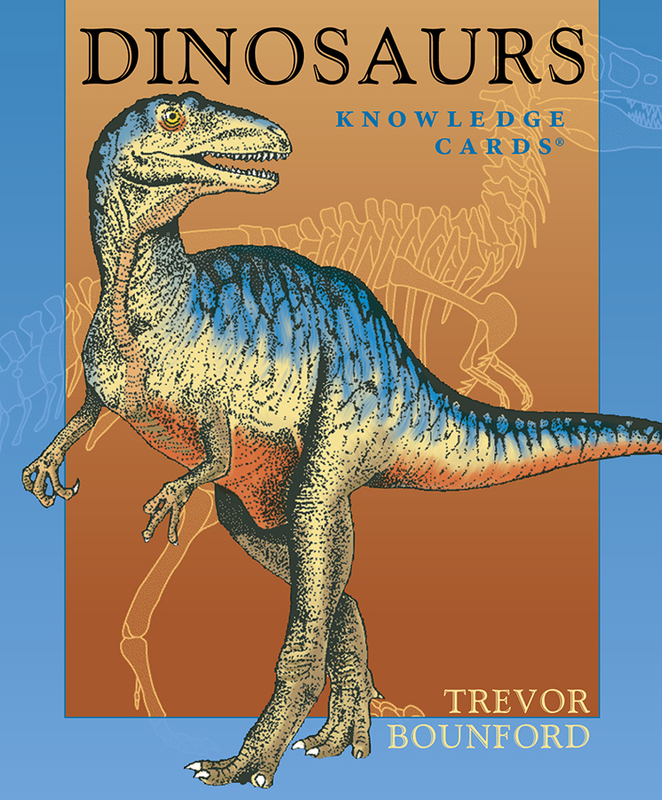 Trevor Bounford presents tons of facts in these 48 Knowledge Cards. (We’re talking serious dinosaur information here!) 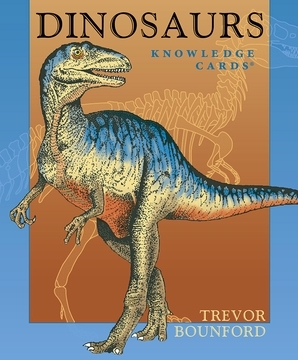 The fronts of cards feature drawings of the reptiles, with names phonetically spelled, or dinosaur-related illustrations. The backs explain notable features, where remains have been found, what caused the creatures’ extinction, and other esoterica; an evolutionary development chart of the types of dinosaurs compares human and dinosaur sizes. A boxed note highlights the length, diet, and main characteristics of the pictured dinosaur; a timeline shows the period in which the animal existed. In short: dinosaur-sized data in a fun, compact deck.